Twenty-first century policing in the United States is experiencing a crisis of sorts – as overall crime rates continue to hover near their lowest levels in 50 years, society’s fear of crime is through the roof. The average street cops’ cognitive dissonance boils over as traditional law enforcement methods repeatedly prove ineffective when applied to present day community expectations regarding social disorder. The shop merchants, the neighborhoods, and the corporate leaders want something done about the people on the street experiencing homelessness that ‘make them feel unsafe’. So they call the police. The cops do what they have been trained to do thus far; arrest, cite, or utilize other coercive power found on their legal tool belt. Until now. 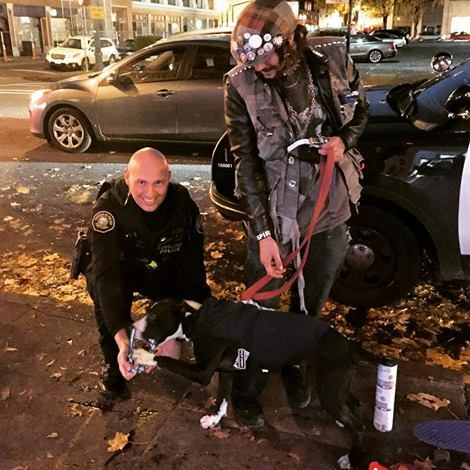 The officers of the Portland Police Bureau’s Foot Patrol came together with a common desire to try something new. Tired of banging their heads against the wall and pushing the revolving door of the criminal justice system, they decided to throw out the rule book and focus on relationship building. What if we were to treat people living on the street as stakeholders in the community as well? What if we were to really get serious and truly, honestly interface with the social service providers? What if we got to know people on the street by first name, worked on consensus building, diplomacy, and buy-in to make the community a better place for everyone? What if we reserved our use of power for the true law breakers among the homeless population? Against a tide of cynicism from their peers, the officers of the Foot Patrol applied this approach diligently for the summer months of 2014. Afterward there was an air of success. The relationship-building approach had resulted in a huge amount of support and accolades from all involved: the businesses, the residents, the social service providers, and the people experiencing homelessness themselves. The summer of 2014 in Portland, Oregon was regularly referred to as the “best summer ever” (as opposed to the “worst summer ever” of 2013), at least anecdotally. That’s all well and good, but what did the hard numbers show? Statistics were compared for the two areas the Foot Patrol focused on, and we discovered a significant overall decrease in crime of 20% and 23%, respectively. In addition, significant numbers of youth connected with services as a result of Foot Patrol officers working in collaboration with local providers like Janus, New Avenues for Youth, and Outside In. 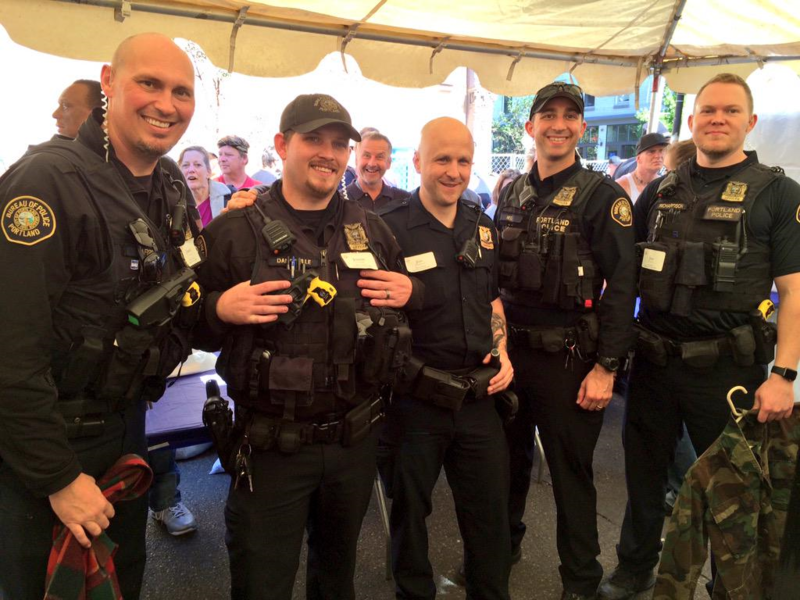 Officers were invigorated by the work, and felt pride in their accomplishments. Perhaps best of all, they knew they had truly “made a difference,” which is what all great officers dream of. As police agencies nationwide struggle with dwindling personnel resources (and we are no exception), programs such as the Foot Patrol are common targets for elimination. They require significant staffing commitments, but the benefits are immeasurable. As we found in Portland, a survey of any neighborhood that has enjoyed the benefit of such an approach will glean overwhelmingly positive feedback. Regardless of what the future holds, as these officers move forward in their careers (and perhaps to other assignments), their basic attitude toward policing has forever been changed. The foundation of all we do, if we are to do it effectively, is in relationships. Sergeant Jim Quackenbush has been serving the community with the Portland Police Bureau for 17 years, most recently as the Foot Patrol supervisor downtown. Throughout his career, Jim’s primary focus has been on community engagement; working with neighborhood associations, businesses, social service partners, and a multitude of non-profit stakeholders. The Foot Patrol, initially led by Lieutenant Ric DeLand, was recently recognized as White House Champions of Change for their partnership with youth service providers and their work to end youth homelessness.